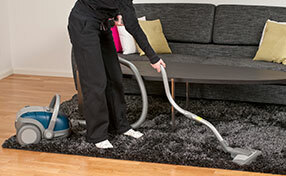 High quality work by the best carpet cleaning professionals. Our team has the best services around and you should most definitely consider getting in touch with our team whenever you need help setting up cleaning your home. The commercial carpet cleaners are available to rent or hire, easy to use and cost effective. And the best thing about them is that they work. 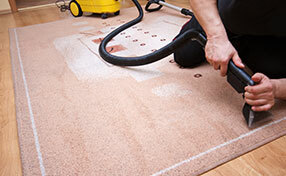 At Carpet Cleaning Milpitas we also offer all the residential water damaged carpets in a professional way. We always ensure that our clients’ interest comes first. Is it possible to avoid floor stains altogether? Hardly so! 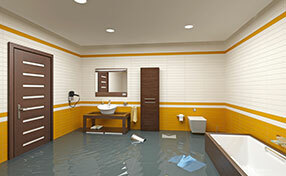 But when you have carpets on the floor, greater attention and some precaution measures are required. This is even more important when your floors are decorated with beautiful Persian rugs, and it's a pity to stain them with coffee and wine. So, should we refrain from having a cup of coffee over our carpets? Although this sounds as an excellent solution, it's not often possible or even good for your sanity. You cannot drive yourself crazy every time someone in the house will walk over the rugs with a glass of wine in his hands. After all, the house is there for you to enjoy living and hosting in. Such extreme measures will just isolate you since you will stop inviting people over and be very strict with your kids. There are no perfect solutions for stain prevention but there is also the possibility of stain removal. If you want to avoid stains, you just have to be careful. You can also choose carpets, which are made by texture or frieze fibers since these ones are highly resistant because they are twisted during production process. 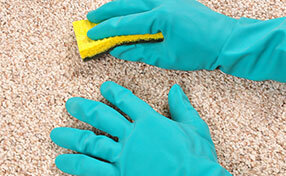 You can also add special carpet protectors, which will create a layer of protection against stains over the fibers. Such a method will eliminate bad smells, too, and will make stain and odor removal easier. One thing you can also do is to remove your shoes when you enter the house or at least avoid walking in the bathroom or bedroom floors since these are the rooms where you might also step barefoot. Apart from dirt, shoes might also transfer grease, mud, chewing gum or anything else you step on the street. They will stain your carpet. Once stains are made, the sooner you clean them the better. Remember not to scrub the area but blot it. If you spill drinks, use paper towel. You can use special solutions bought on the market but be sure to get ecofriendly products, which are suitable for the fibers of your own carpet. If you are not sure, it's best to try them out in a small corner and when there is no urgency to remove stains fast. This way, you will be ready to react immediately once something is spilled on the floor. The faster you move, the best results you will have. It's also good to keep in mind that thorough carpet maintenance every few months will also help you keep the floors free of stains.